I’m more or less finished with an initial Version of the Android App and Desktop Software. The Desktop part consists of 2 Elements. First is the Server running in the Background (no Gui) and Second is an Applet. I didn’t show the File Transfer and some other stuff, but this is how it will look like. I’m currently fixing some Bugs, after that I’ll release a first version for Gnome and start working on a Unity Applet. I’ll also describe how the whole Security works in another Post. I’ve been busy with a new Project lately. It’s an Android App in combination with a Desktop Application, to integrate a Smart-phone in the normal Desktop UI. I’ve seen “Android Notifier” and “KDE Connect”, both are awesome but don’t work well with Gnome Shell or Ubuntu Unity. There are many Apps out there which already notify you on your Desktop Computer, but most of them are Browser-Extensions which need a Third-party Server (your data is routed over some other website). So the plan is a new Android App which communicates over the LAN with a Software running on Linux, Windows or Mac. I’m almost finished with the Linux Gnome Shell version and want to release it on Github soon. Pushed out an Update of Smart Howl this Week. One of the Key-Features of this Version are Categories, to manage your stored Texts. Some new Customization Options (Theme and Buttons) are also available. Just released our Smart Howl App for Android. It is designed for mute People or People having problems with speaking. The Application let’s you talk with someone via Text-to-Speech. You can say already stored Texts or build new Sentences by simply drag and drop the Text you need. New Features are already planned and are coming soon. The Demo and Full Version will be up on Google Play soon. Please check out our Smart Howl Page for more Details on this Product. 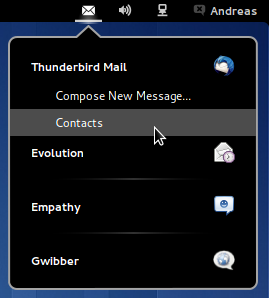 After using the Gnome Shell for a while, I kind of missed the Messaging Menu from Ubuntu. I saw an Applet for Cinnamon (a Gnome Shell Fork), which covered the Basics of it: easy access to the Messaging Applications. Using Ideas from that Applet and other Gnome Extensions, I made little Extension myself which is available on the Gnome Website. For now it just shows your Applications in a Menu, but other Features from the original are already planed. The Source can be found on GitHub, it’s open-source so feel free to help the Project. This is a little open-Source Tool for Linux I wrote a fear Years back. To be more exact, it’s an Graphical User Interface for the Unix Command “dd“. 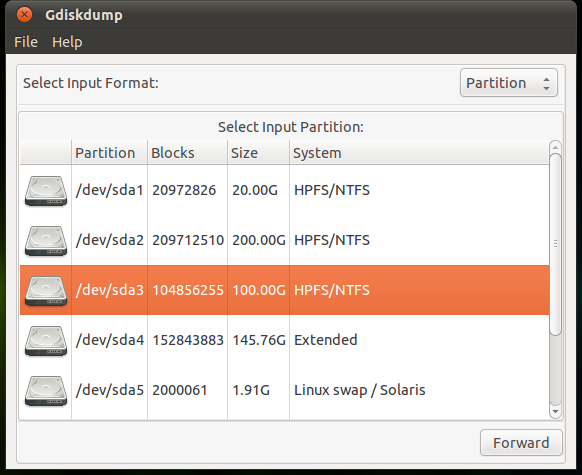 You can easily select the Input- and Outputstream, so you can clone or image your Hard-drive or Partition. The latest Version 0.8 supports compressed Images. The original Project with Code, Binaries and Deb-Files for Ubuntu/Debian was hosted on Launchpad, but never saw any changes from the Community besides Translations. So, we made a GitHub Repository to provide easier access.